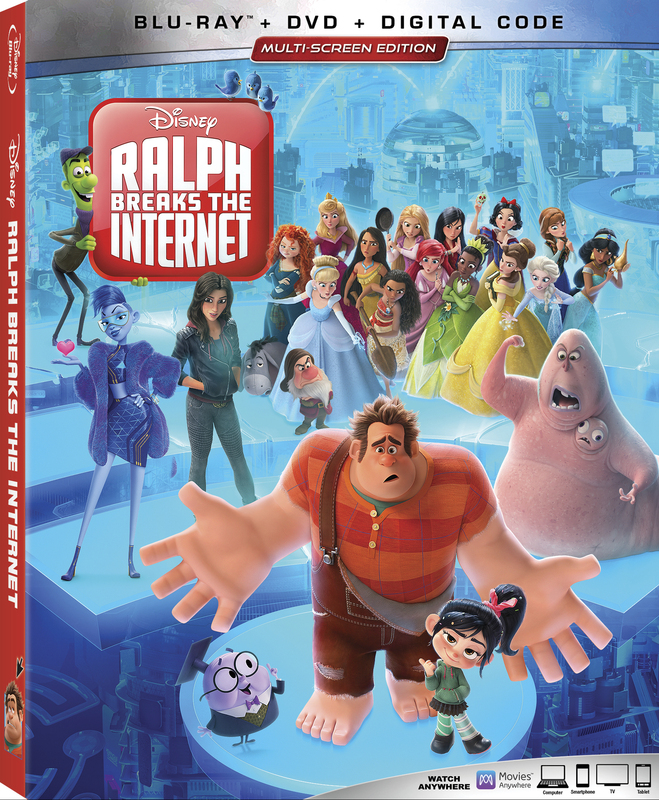 Ralph Breaks the Internet (2018) is the much-anticipated sequel to Disney’s popular Wreck it Ralph about an unlikely friendship between racing game protagonist Vanellope von Schweetz and “bad guy” who isn’t really a bad guy, Ralph. 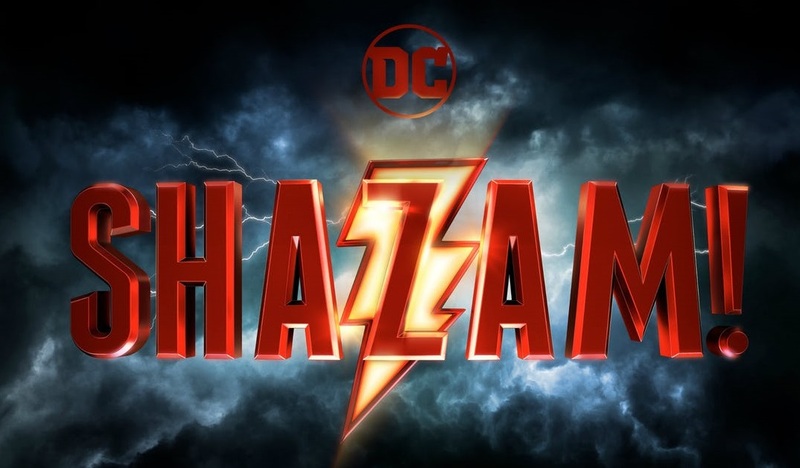 The film released in theaters in November of 2018, and is coming this month to Movies Anywhere as well as Blu-ray and DVD– and you can win a copy thanks to Walt Disney Studios! Read the review and then enter to win. Ralph Breaks the Internet picks up almost right after the action of Wreck it Ralph ends. Ralph (John C. Reilly) and Vanellope (Sarah Silverman) are enjoying their friendship and hanging out in the arcade after hours, generally having a good time. Ralph in particular is thriving in his new role of BFF over baddie. When he tries to add a little spice to Sugar Rush, he accidentally sets in motion events that break the game. Vanellope and all of her friends are in danger unless she and Ralph can find a replacement piece for her console. Where else to look but the internet! Ralph and Vanellope travel into the World Wide Web and encounter a world so much bigger than they ever knew existed outside of the arcade. They meet pop-ups and game icons and even a search engine who all try to help them navigate this new world and find the console piece they need. When they discover money, though, things get a little more complicated. Throughout the film, Ralph’s actions trying to “fix” things and put them back to how they were before keep leading him astray. He wants so badly for things to stay the same that he struggles with a world changing around him. This ultimately leads to the central conflict of the film. There are a lot of fun moments in this movie as well. I’m sure you’ve all seen the room full of Disney Princesses (who did actually break the internet when the first image was posted online). They play a small role in the action of the film, but don’t ultimately detract from the main characters. I enjoy the way various corners of the web are portrayed, from BuzzTube, an analog of popular Web 2.0 sites, and managed by the charismatic Yesss (Taraji P. Henson) all the way to the MMORPG Slaughter Race, run by badass racer Shank (Gal Gadot). And at the core is a message of being true to yourself while also allowing your friends to grow that is heartwarming and needed. Giveaway open internationally to IGGPPC members only. BURBANK, Calif. (Jan. 16, 2019)—Walt Disney Animation Studios’ “Ralph Breaks the Internet,” the animated adventure featuring video-game bad guy Ralph (voice of John C. Reilly) and fellow misfit Vanellope von Schweetz (voice of Sarah Silverman),raced to No. 1 opening weekend (the second biggest Thanksgiving opening of all time),winning the top spot at the domestic box office for three consistent weeks and grossing more than$435.1 million to date.In the hilarious, high speed sequel to 2012’s Oscar®-nominated “Wreck-It Ralph,” the besties risk it all by traveling to the expansive, fast-paced world of the internet in an action-packed attempt to save Vanellope’s game Sugar Rush.“Ralph Breaks the Internet” is available instantly on Digital 4K Ultra HD™/HD/SDand Movies Anywhere Feb. 12 and physically on Blu-ray and DVD Feb.26. IGGPPC turns 6: YEAR 6 STATS and a Giveaway!